Borneo And The Homeland Of The Malays: Four Essays. 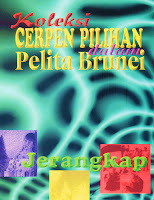 On 10—11 April 2000, the Institute of the Malay World and Civilization at Universiti Kebangsaan Malaysia, with the cooperation of Dewan Bahasa dan Pustaka, convened an international colloquium, Borneo as the Homeland of Malay: The Implications for Research. The principal invited speakers were internationally well-known professors in comparative Austronesian linguistics and Austronesian archaeology. Other invited participants represented a broad diversity of academic disciplines, including economics, history, linguistics, oral literature, sociology, anthropology and geography. National Museum launches book on amphibians, reptiles.